He was All-Conference flinging a football, as well as an All-Conference star shooting a basketball, while at Triway High School. However, when Sean Carmichael swung a baseball bat, he was All-State and more. By the time Carmichael hung up his spikes, his name dotted record books at THS and the University of Akron, as well as the Hahn-Frank Hot Stove annals. Carmichael hit a torrid .576 his senior season at Triway (1985) to land First-team All-State honors. That season he hit in all 28 games while pounding out a school record 64 hits and knocking in two runs a game. The performance earned him his third straight All-Ohio League berth. Right after graduation, Carmichael delivered team-best .371 average for Hahn-Frank. That was enough to name Carmichael team MVP, the first of four times he would be so honored. In both ’86 and ’91 he was MVP and the batting leader, but Carmichael was most thrilled in leading H-F to State titles those years. The laurels continued for Carmichael at Akron, where he batted .303 as a freshman to make the Ohio Valley Conference first team. As a sophomore, Carmichael hit .358 and then as a junior scored a UA record 68 runs in batting .387. An Akron captain his last two season, Carmichael hit .320 as a senior, then helped coach the Zips the next three years, including ’91 when they captured the Mid-Continent Conference. 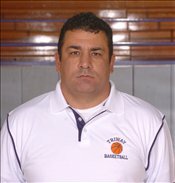 Carmichael returned to his roots when, in 1992, he was named an assistant basketball and baseball coach at Triway. Carmichael is now the head baseball coach and also Triway’s athletic director.